There is such a task. It is necessary that for a specific group of customers, the value of the goods differed from the total cost. For example, we have retail buyers and our partners, respectively, the prices of one and the same product for them will be different. In the admin panel of our site, go to "Configuration / My Store" and in the heading "Number Of Prices Per Products" change the value "1" to "2". 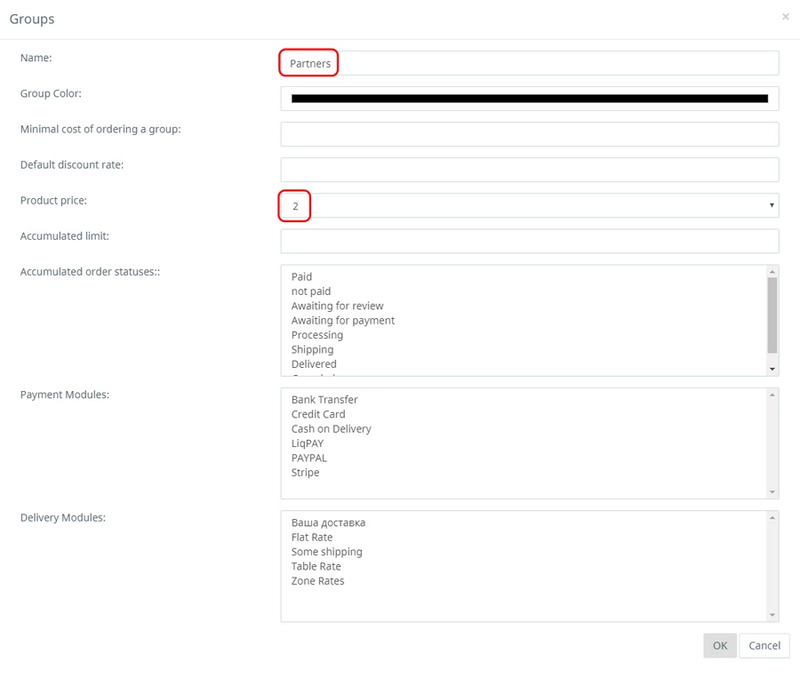 Go through the "Customers / Customer Groups" and create a new group. We give the name of this group "Partners" and in "Product price for the group" choose "2"
We save everything by clicking "OK"
We go through the "Products / Catalog" and in each product opposite the "Price 2" put a tick and set the price for the partner. And the last, fourth step. You need to specify who from your list of customers will have an affiliate value of the goods. To do this, go through the "Customers / Customers List " and click "Update" in front of the customer, which must provide partner prices. 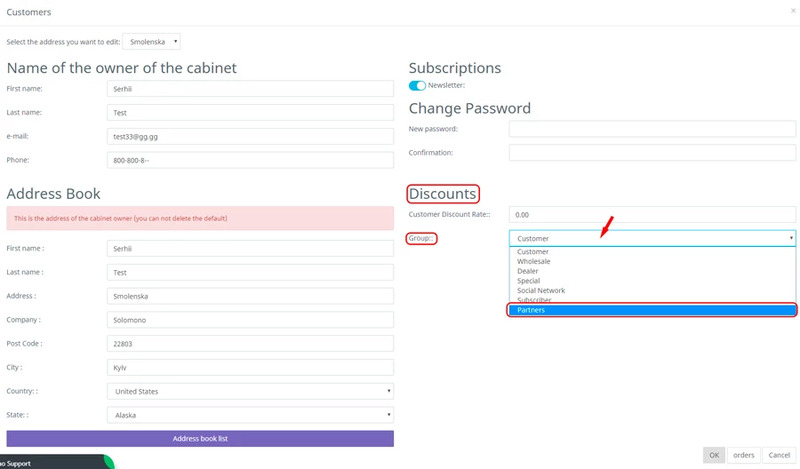 Next, in the block "Discounts" you need to select the group "Partners" and save by clicking "OK"
All is ready. Now, when a client having a discount "Partners" logs in to your site, it will show the prices for the goods not for retail, but for partner ones.